Its easy to get carried away with how great retail management systems are for your business, but sometimes you just need to keep it simple. We often talk about the back-end functionality and the benefits a complete EPoS solution can bring, but what about the people operating the till on a day-to-day basis? Most shops will have a list of top selling items, especially gift shops at visitor attractions and smaller specialist businesses such as chocolatiers, card shops and giftware. It’s imperative that you don’t guess what these items are, no matter how much you think you sell of that cat tea towel, chances are you have other items that are more popular. 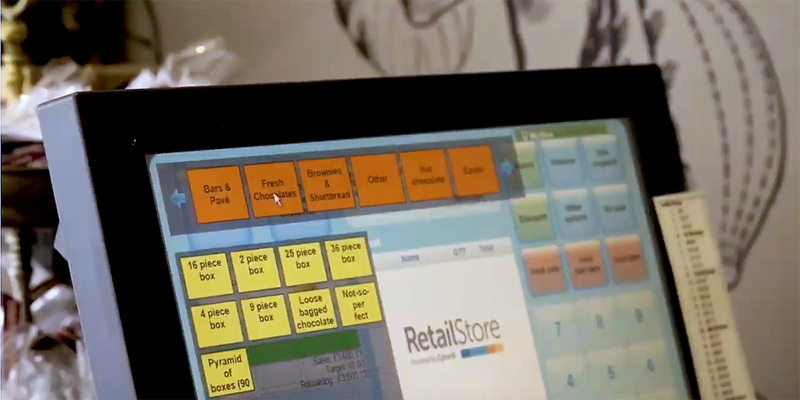 Retail management software can identify your best-selling items which then makes it easy for you and your staff to have quick and easy access to these products at the till. Serving your customers and processing transactions with speed, making sure you serve those who are on a tight time-scale, such as coach parties, meaning you reduce the risk of missing a sale! Cybertill customer Paul A. Young is an inspirational chocolatier with three shops in London. Although they are a smaller business, they aspire to grow significantly over the coming years. By using the RetailStore platform and in particularly the ‘hotshot’ keys they have been able to focus more on serving customers, providing an improved experience. The retail management software has been customised for Paul A. Young, allowing staff to become more efficient – but don’t just take our word for it, have a look at what the customer has to say here.